The word ‘no’ can often be viewed as a rejection, and can be painful. 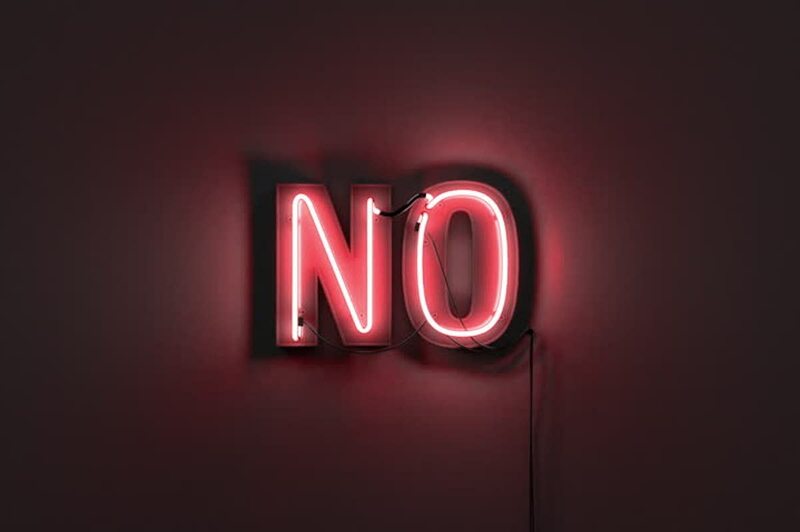 I recently broadened my understanding of ‘no’ to view it as a liberating celebration of freedom and choice. My ‘no’ is about my freedom, not the rejection of others. This personal discovery was liberating. If you want to touch someone and they say no, why should you celebrate? Getting no in a situation like that may feel like rejection. So how do you go from rejection to celebration? Cathleene talked about, when you get a no, the best practice as a response is “thank you for taking care of yourself.” This helps make the no about them and not you. You are free. Their no is not about you. It’s about them. There’s no need to view no as rejection or take it personally. You’re off the hook. You’re free to ask someone else. You’re free to find someone who wants to be touched by you. You’re free to move on. By celebrating no, it’s creates a safer and more trusting culture. Think about getting no this way: when a person says no, they’re saying ‘I can’t or won’t in this moment’. Here’s a ridiculous example to illustrate my point. Say I ask someone to eat half a pound of wasabi by yourself. They say no. Do I take this as rejection or them taking care of themselves? Is their no about me? What’s wrong with me? Why I’m not enough for them to eat a half pound of wasabi? Or can their no be about them taking care of themselves? They are doing what you feel is best for them in this moment? Can I trust that they know what’s best for them in the moment? Can I trust that their no is not about me? Wasabi eating is a ridiculous example, but the point remains. When a person says no it isn’t necessarily about you. Give yourself and the other people the freedom to say no at will. No guilt, no explanation, no trade off. Build a culture that celebrates no and trusts that people know what’s best for them in the moment. You know what’s best for you and should have the freedom to act accordingly. For a moment imagine if the next generation were raised in a culture that celebrated no, and didn’t take no personally. What type of culture would that create? The fearful, the reluctant, the obligatory, or transactional yes goes away. No is celebrated. When a yes is given, it’s with enthusiasm, because you trust the no. The next generation is raised without taking no personally, free from no meaning rejection. A generation raised understanding that people do their best to take care of themselves, in mind, body and spirit through celebrating no’s and enthusiastic yes’s. This is a cultural revolution. If you want to learn more about this cultural revolution and learning to say no, let’s talk. Book your free call today. It will be the best hour you spend on taking a look at what shame has cost you and how to free yourself from toxic shame.